Pediatrician and pro-vaccine advocate Dr. Paul Offit, who once said a child can safely receive 10,000 vaccines at once, has spoken out repeatedly against vaccine religious exemptions, implying that his opinion is more important than the fundamental moral tenets of a variety of world religions. Pediatrician and pro-vaccine advocate Dr. Paul Offit has spoken out repeatedly against vaccine religious exemptions. For example, in one speech (http://www.vaccinationcouncil.org/wp-content/uploads/2012/08/transcript-offit-speech.pdf), he implies that since the Old and New Testaments and the Qur'an predate vaccines, these religions can't be opposed to vaccines. Sadly, Offit appears to suffer from a largely undiagnosed condition common among medical doctors, egoencephalitis (inflammation of the ego part of the brain), which causes its victims to mistakenly believe that their medical degree bestows upon them infinite, authoritative knowledge about everything. Surely one of the 250 vaccines currently in clinical trials or awaiting FDA approval addresses this concern, so there may be hope yet for Dr. Offit. As to what does or doesn't qualify for a religious exemption , that's up to the courts, not a self-appointed, self-aggrandizing medical doctor on a profit-seeking mission. Federal courts have interpreted the First Amendment's "free exercise" [of religion] clause as protecting any belief that is "religious in nature" and "sincerely held" (as the law defines those phrases). A complete explanation of what the law considers to be 'religious in nature' is beyond the scope of an article, but in general, anyone who is not an atheist can potentially qualify for a vaccine religious exemption—the legal definition of 'religion' is literally that broad. The First Amendment doesn't care whether or not you belong to an organized religion, or which one you belong to if you do. In fact, you could be the only person on the planet with your particular religious beliefs--whether you're a member of an organized religion or not--and if your beliefs are religious in nature and sincerely held, your beliefs are protected by law, you can qualify for a vaccine religious exemption. Now, there are some legal pitfalls to avoid in this exemption situations where you must state your religious beliefs opposed to immunizations. Unfortunately, most people's common sense approach to writing a statement of beliefs, in my experience, is not consistent with the law with regard to what specific beliefs do or don't qualify for an exemption. So, if you have to state your beliefs, consider consulting a knowledgeable attorney to avoid the legal pitfalls. 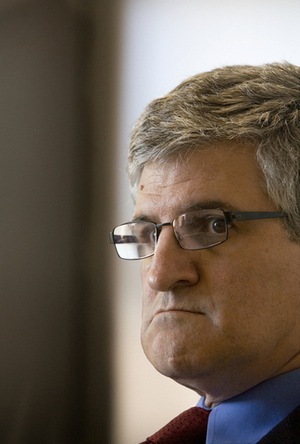 Moving on, Dr. Offit goes on to assert that the Mississippi and West Virginia State Supreme Courts have said that vaccine religious exemptions violate the Equal Protection clause of the 14th Amendment. Dr. Offit, only the Mississippi State Supreme Court said that, over 33 years ago, and that ruling stands as an historical anomaly. No other state or federal court has ever concurred with that ruling. With all due respect to the Mississippi State Supreme Court, that Court's anomalous ruling stands much more as a Constitutional embarrassment than as a defining moment in vaccine religious exemption history or policy. More recently, Dr. Offit criticized vaccine religious exemptions by citing rare instances in which parents' religious beliefs led to children's deaths due to the parents' withholding of medical care (http://articles.philly.com/2013-05-10/news/39144680_1_child-abuse-neglect-first-century-gospel). Such deaths are tragic ones that might have been avoided if proper treatment had been provided. But such instances have nothing to do with vaccine religious exemptions. Parents do not have a legal right to allow their child to die for lack of proper medical treatment because of their religious objections to medical treatment, but they do have a Constitutional right to exercise a vaccine religious exemption. Medically: Some exempt kids develop natural immunity, which can happen without even getting sick, according to the CDC. Meanwhile, 5-15% of vaccinations don't work --also according to the CDC. The truth is, there are far more non-immune vaccinated kids than non-immune exempt kids, and the CDC admits that most outbreaks occur in vaccinated children. Legally: There is a legal presumption that the exercise of a vaccine religious exemption does not pose a significant risk to anyone. If it would, state legislatures, who are presumed to have considered the possible consequences of enacting exemption laws, would not have enacted the exemption laws in the first place. So, medically and legally, religious exemptions pose no problem. Should they ever pose a potential health risk, states have mechanisms in place to deal keep the risk from actually manifesting. For example, exempt kids can be excluded from school during local outbreaks, and health authorities may quarantine unvaccinated persons during a declared emergency. Of course, these laws don't actually make scientific sense, they're political policies put in place to placate the irrational fears of those who don't understand basic mainstream medical principles. If the issue was a genuine, serious concern about infectious disease immunity, we would have to test all persons, vaccinated and unvaccinated, to identify the non-immune people. Vaccination status is not a reliable indicator of immune status; and there are both non-immune vaccinated people and immune non-vaccinated people. It's clear, then, that mainstream vaccination policy is not about protecting the populous from infectious diseases, but rather, a policy put in place to support another agenda that is held in place by fiction-based fears. e) State and federal governments compensate vaccine victims--or at least those who are lucky enough to get through a compensation system successfully. Vaccines in the U.S. represent a government-industry alliance ('racket' is the more accurate term) the likes of which are unknown in any other place or time in recorded history. The Know Your Rights Hour is rebroadcast on Natural News Radio on Wednesdays at 1:00 pm ET/12 noon CT/11 am MT/10 am PT. A complete answer to the question, "How does the law define 'religious in nature'?" is complex, and thus well beyond the scope of an article. I cover this in detail in client consultations. Some laws still require membership in an organized religion, but those laws are unconstitutional and thus arguably unenforceable. At least 5 state and federal courts have ruled that such laws are unconstitutional. One can usually exercise an exemption in these states even if they are not members of an organized religion with tenets opposed to immunizations, though it may require the help of an attorney. This page contains a single entry by sal published on June 12, 2013 5:07 PM. 5 major crop pests develop resistance to genetically engineered seeds was the previous entry in this blog. GMO and Monsanto: Glyphosate Weed Killer Found in Human Urine across Europe is the next entry in this blog.